If you grew up in a household where mayonnaise was almost forbidden — though she never admitted it, I’m fairly certain that Mom hates mayo — you can understand why I don’t have a family recipe for a classic (mayo-drenched) potato salad. It was just not part of Mom’s cooking repertoire. She did have her own version of potato salad though. One that involved parsley, lemon, olive oil, capers, but — not surprisingly — zero mayo. This is such a simple recipe, but one that I love and turn to time and time again. The potatoes are boiled with garlic, bay leaf, and peppercorns. I know it doesn’t sound like much but it adds a lot of flavor and complexity to the otherwise mundane potatoes. Which are then dressed with olive oil and lemon juice. Capers add just the right bit of briny pop, while fresh parsley adds a burst of vibrancy, color, personality, and so much flavor. I know this may not look like much, but trust me when I say that it’s really something. A potato salad that is fresh, light, and packs just as much, if not more, flavor than the traditional mayo based potato salads. 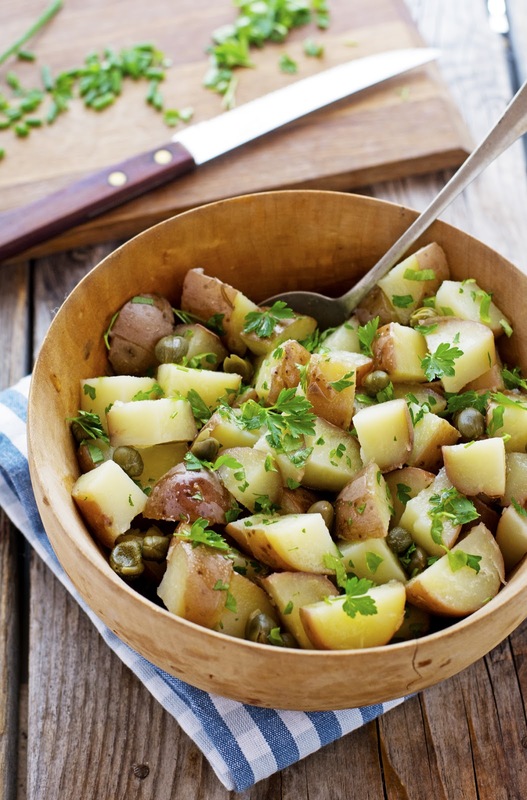 The perfect side dish for your summer barbecues! Mom’s Parsley Potato Salad Print this recipe! Put the potatoes, garlic cloves, bay leaf, and peppercorns in a large saucepan, add cold water to cover by about an inch and season generously with salt. 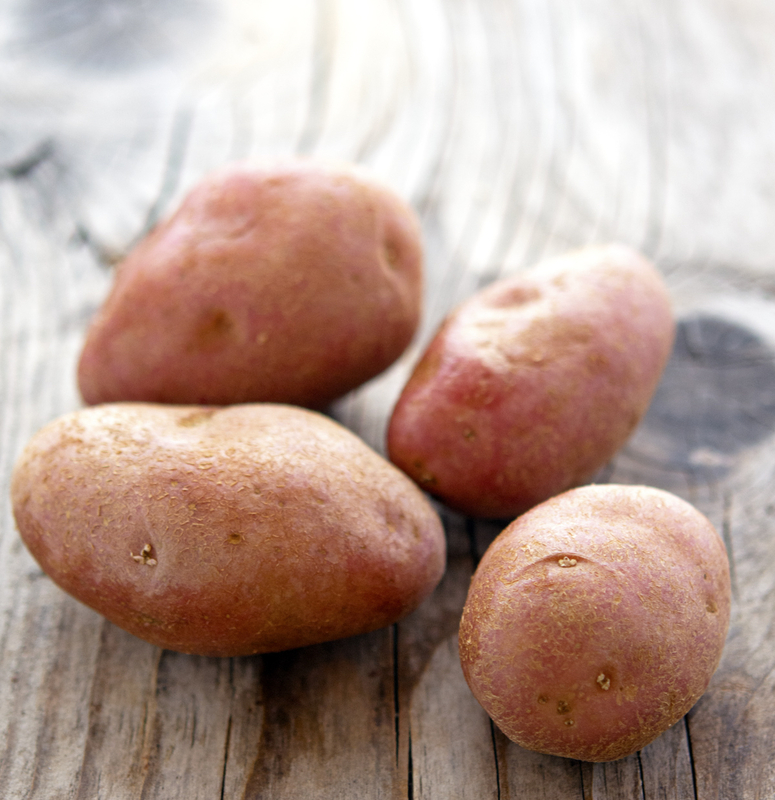 Bring to a boil, lower to a simmer and cook until potatoes are fork tender, about 5 to 8 minutes depending on their size. Drain, discard the garlic, bay leaves, and peppercorns, and leave to cool slightly. In a small bowl whisk olive oil and lemon juice. Add capers and half of the chopped parsley and season well with salt and freshly ground pepper. 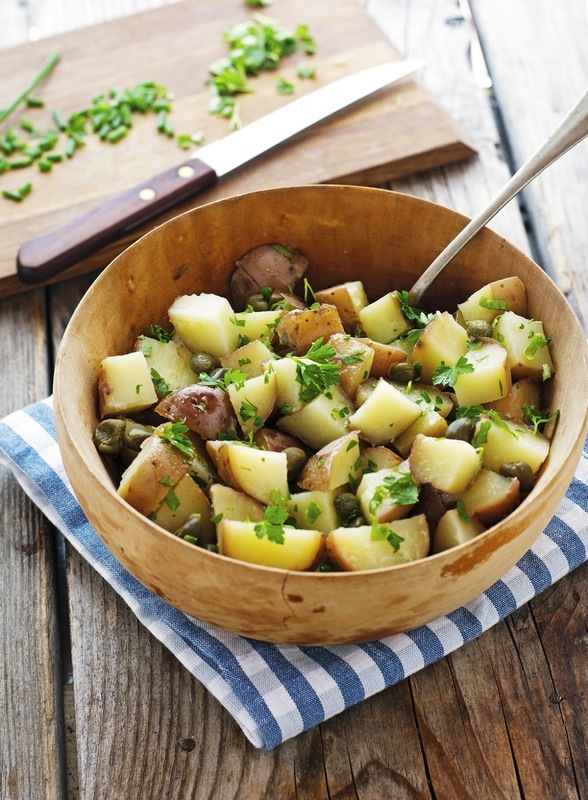 Cut cooked potatoes into 1 ½-inch chunks and dress with parsley dressing. One serving yields 148 calories, 7 grams of fat, 19 grams of carbs, and 2 grams of protein.